Once a low-ranking symbol on your telephone keypad, today hashtags have become a popular feature in online conversations. A new study by RadiumOne found that almost three-quarters of social media adopters use hashtags. But it’s not just marketers and early adopters who have taken an interest. The digital ad agency’s 500-person analysis revealed that of the 75 percent of people who admitted to using hashtags, 70 percent of them were women. Making it even more interesting, 44 percent of respondents were middle-aged. Clearly hashtags have become more mainstream, especially on Twitter. In fact, the symbol is now regularly seen (and encouraged) on platforms like Instagram, Pinterest, and even Facebook — which is rumored to be integrating hashtags into its service in the near future. The hashtag has even gone beyond tablets and computers and is now a regular star in television commercials. If that doesn’t demonstrate its value for marketers, this might. The study went on to describe how a hashtag is being used as a content discovery tool. Nearly 42 percent of respondents click on a hashtag to explore new content, 25 percent use the hashtag in their own posts (if meaningful), and a little over 18 percent go directly to the person or brand that tweeted it. Whether you’re trying to communicate an idea, direct followers to related content, or encourage participation in a Twitter chat, hashtags are extremely valuable tools. That said, if you’re considering the use of hashtags in your marketing campaign, it’s recommended that you choose a word or phrase that is relevant, easy to integrate into sentences, concise, and consistent. Take some time to consider every way the hashtag could be twisted into something inappropriate, critical, or even damaging. 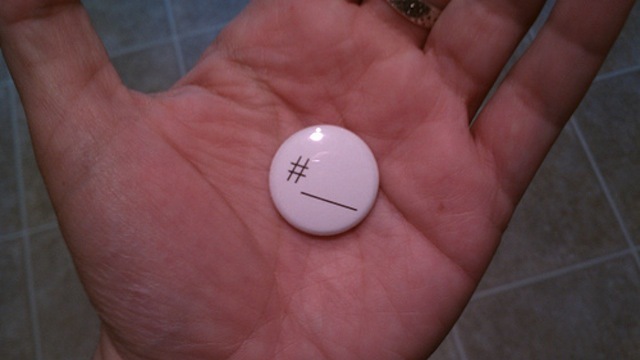 It can be challenging to keep your hashtag campaign on the right track. And like with most trends, too much of a good thing can turn into a bad thing. Because hashtags are so easy to use, sometimes it can result in overkill. Don’t turn every word of your tweet or Instagram update into a hashtag.